Rarely does a day go by without a post from Rhodes on Facebook, or a tweet about a trail he has just checked out. This outgoing, ruggedly handsome (yes, he’s done some magazine photo shoots), 51-year-old grew up in New England and moved to the Bay Area in 1995. While working in internet and multi-media, Rhodes found himself drawn to the joys of trail running, and, in 2010, and since then has worked to turn his love for the sport into a career. “I want to turn my passion for trail and ultra, films and photography into a working lifestyle,” said Rhodes. Rhodes’ enthusiasm rubbed off on some other runners he knew and soon was leading small, informal groups through the unique landscapes afforded by Open Space Preserves south of San Francisco. “After a while I created the BayTrailrunners.com website to share all the great combinations of routes and trails all over the Bay Area’s mid-peninsula as well as to announce upcoming group runs,” explained Rhodes. In the Preserves he stages the Whistle Punk Half, the Whiskey Hill Redwood Run and the Panic of ’73 10K and Group Relay. In Marin County, he organizes a friendly group ultra called the Coastal Marin 50K, a point-to-point run stretching from Olema, CA, to the Golden Gate Bridge. Chris Blagg, assists as co-race director. Trails in Motion film festival. Photo by Tanner von J. At the same time he was building a roster of races, he met James Hallett, a film producer and distributor based in South Africa, who had assembled an annual film festival called “Trails in Motion” featuring films about trail running made by film makers around the world. Rhodes took on the job of managing the entire Northern California Trails In Motion Film Festival tour. 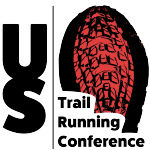 Since 2014, he has put on Festivals for trail running communities in many different locations ranging from San Luis Obispo, CA, to Orcas Island in Washington. Often the film festival is held to coincide with very well-known trail running events such as the Western States Memorial Day Weekend Training Runs and North Face Endurance Challenge as well as the Broken Arrow Skyrace, the SLO Ultra, the Orcas Island Trail Festival, the Lake Sonoma 50, and the Miwok 100K. Hallett, festival director and owner of Go Trail Media which includes the now-entitled Ledlenser Trails In Motion Film Festival, wrote, “I like to think of Robert as a close friend now, someone who always has time to share his insights into the local community, not to mention his on-going passion for growing his local community reach. “Robert’s passion for everything trail and ultra running is tangible in everything he does, whether that be taking a selfie while out running a new trail or putting on an annual Ledlenser Trails In Motion Film Festival screening. Having this unconditional quality is what affirms his impact on the Bay Area, and to a larger extent Northern Californian community, something I believe people pick up on almost subconsciously. Trails runners are inherently a type of person who yearns to be a part of this community so when you’re made to feel like a part of the tribe, you generally stick with that tribe. Bay Trailrunners, led by Robert Rhodes, is that San Francisco Bay Area tribe. That connection has resulted in Baytrailrunner activities garnering some favorable notice from the trail running press including featured articles in Trail Runner Magazine and Ultrarunning Magazine as well as a featured guest appearance on the popular podcast, Trail Runner Nation. 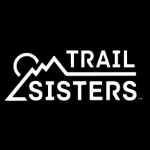 In 2016, Rhodes formed the Dirtbagger Film Syndicate to share films, art, crafts, and grassroots goods about trail running and other activities with anyone who has a love for the great outdoors. The Dirtbagger Syndicate is working with such filmmakers as Billy Yang, Matt Trappe, and Myles Smythe. 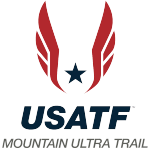 Several sponsors have come on board including Salomon, Race Roster, Amino-Vital, Sufferfest Brewing, Headlands Brewing and Victory Sportdesign. Rhodes has hosted fundraisers to support groups such as Girls On the Run with Trails In Motion, and Trail Running Nepal with Dirtbagger Film Syndicate.